I Live In A Fictional World: What Are You Gonna Be? October has proven to be the most hectic month, so far. I haven't even decorated my house for Halloween yet. *shame on me* No pumpkins, no witches, no ghosts. I don't do spiders and cobwebs because I hate spiders. That's not right. What's the strongest word for hate? Whatever it is, that is how I feel towards spiders. Enough, I hate even tying the word! I decided I will not be dressing up this year. 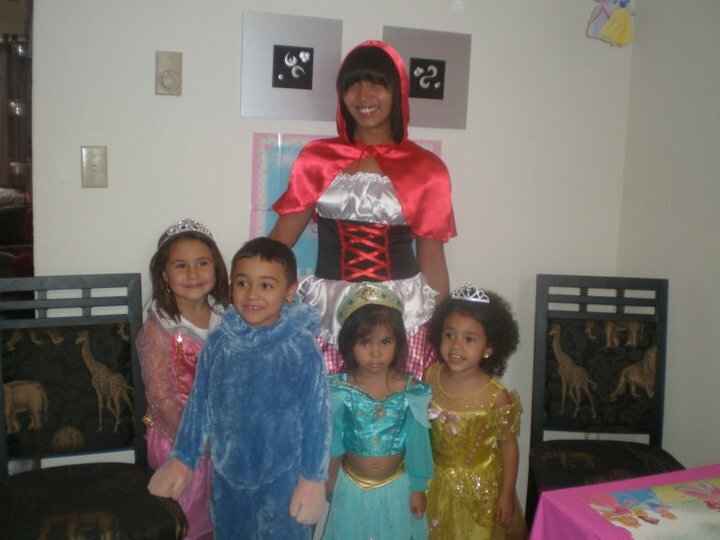 Last year we had a theme, fairytale characters and I was Little Red Riding Hood, my daughter was Princess Belle and the grumpy little Princess Jasmine is our cousin. And yes, she bites. The other girl is Sleeping Beauty and the boy is Ratatouille.